March 25, 2019 3:44 pm. Lotto winner Lou Te Keeti could be poised to strike it lucky again this weekend with a first Group One prize on the racing stage. A Tauranga local, Te Keeti scooped $10.3m in the Powerball jackpot in July 2017 and has invested part of his winnings in thoroughbreds with young Matamata trainer Jacob McKay entrusted with three of his horses and all are competing at Saturday’s Awapuni meeting. Chasing the ultimate result will be Aalaalune in the Gr.1 Courtesy Ford Manawatu Sires’ Produce Stakes (1400m), while Mr Universe and Vittachi will contest a three-year-old 1200m and a rating 72 2200m respectively. McKay will also have a fourth runner at the meeting, Mighty Connor in the Gr.3 Higgins Concrete Manawatu Classic (2000m) with Lisa Allpress booked for the mount. Aalaalune went down a short head to Yourdeel in the Gr. 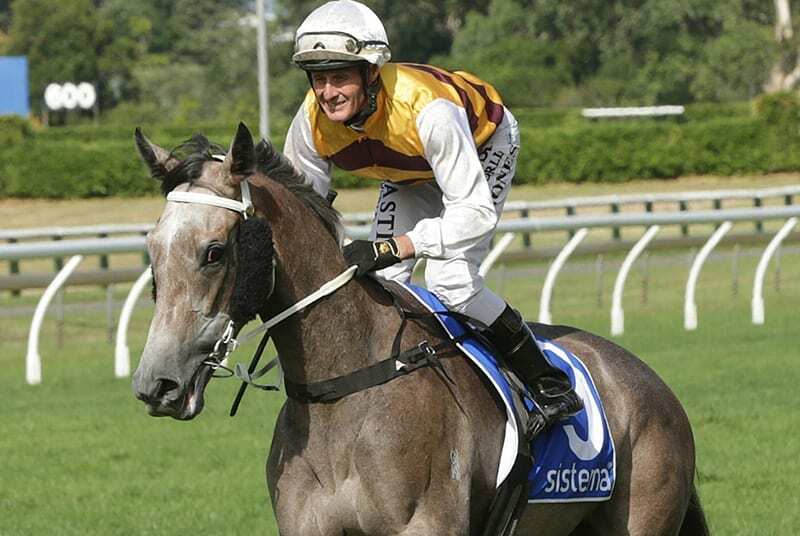 1 Sistema Stakes (1200m) at Ellerslie last start and on that performance, as well as her big finishes for sixth and third in the Karaka Million 2YO (1200m) and Gr.2 Matamata Breeders’ Stakes (1200m) respectively, she should appreciate the step up to 1400m on Saturday. She has been racing so well and deserves to win a good one,’’ McKay said. Aalaalune was given a brief let-up after the Sistema Stakes and McKay is pleased with her condition going into Saturday’s Group One assignment. “She did a bit of quiet half-pace on Saturday and I was really happy with her,” he said. A win in the Manawatu Sires’ Produce Stakes will be a milestone for McKay. He experienced Group One success with Puccini when training in partnership with his father, Peter, but a Group One win on his account will be a major boost to the 26-year-old’s profile. Aalaalune will be the main focus for McKay this weekend, but he also rates the prospects of his other three Awapuni starters. Mighty Connor, a three-year-old gelding by Sebring, quit maiden class at Taupo over 1800m last December and followed up with a couple of placings before finishing eighth in the Gr.2 Waikato Guineas (2000m) at Te Rapa last month. “He beat home Crown Prosecutor and Langkawi that day and the form out of that race is all around him,’’ McKay said. Vittachi won three races for Murray Baker and Andrew Forsman before changing hands and joining McKay’s team. While he hasn’t won for McKay, he has been placed in half of his eight outings for the young Matamata trainer, including a second two starts ago over 2000m at Matamata. “He’s a promising stayer and I’d like to have a crack at the Rotorua Cup (Gr.3, 2200m) with him, but he needs to win or go close on Saturday,’’ McKay said. Mr Universe has been placed in his two starts since his maiden win, the most recent a third over 1200m at Ellerslie earlier this month. “I’ve been really happy with his runs lately,” McKay said. It could indeed be another big day for “Lotto Lou” Te Keeti and a major reward for his trust in McKay’s ability.